By working as part time, you will have more time on doing other activities and project. You also can work as part timer to gain experience about the job that you are going to have for your future. You also can use part timer as stepping stone for the profession that you want to obtained. Other than that, there also not much rules and regulation to be followed for part timer and they will have more flexibility on their working hour and where they want for their work. 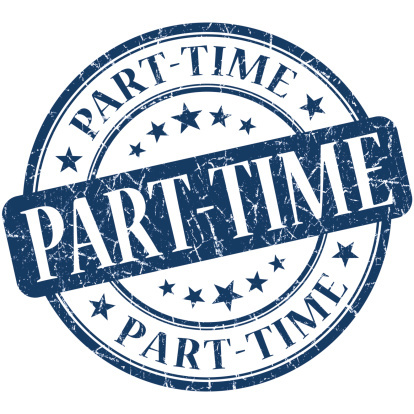 Part timer may able to earn more money than full timer especially when they are able to balancing more than one job. Full time job usually require employee to work for 50-60 hour a week while part timer can use the 50-60 hour to work for different job and earn different income. Part timer can put more hour on higher paid job to earn more and put less hour on the job that doesn’t paid well. It is common that full timer has huge stress for their work and need to handle stress from their employer and customer as well. However, part timer no need to worry about the stress where they have huge flexibility for their working hour and location. Since part timer no need to handle huge stress about their job, they can work more comfortably and be more productively. They can use the time to go for some gym or jogging where they can take care about their health as well and have their own standard of living. Part timer may find job the just around the corner from home where the cost of transportation can be saved up for future use. They can just pay for the public transport and no need to pay for huge amount of car petrol to get to their workplace. Without paying for car petrol means they no need to worry get jammed in the traffic and they can have more time for their own thing.